John-Paul is bored, bored, bored. His dad invited a bunch of important people over for dinner, and no one's talking about anything fun. So when John-Paul's dad asks him to go get the salads, he decides to add his own addition to the dishes. I absolutely adored this picture book! 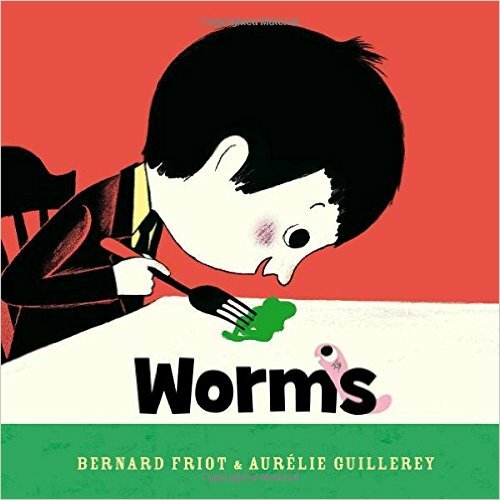 The vintage style illustrations, and ridiculously expressive worms were a perfect pair. And the result of John-Paul's mischief making at the end is a wonderful example of taking your own dues. When the streets are empty and kids are called home for dinner and put to bed, the world becomes a magical place. It's only then that the night children emerge from the shadows, ready to play. 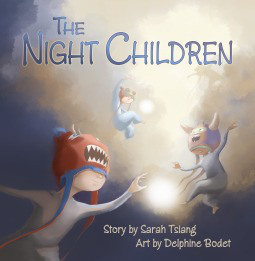 In this evocative and lyrical picture book, it is the night children who rule, taking over the world that the day children have left behind. 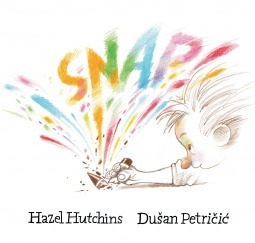 I really liked the whimsical illustrations Bodet created for this book; however, I can't help but think this story would fail to retain the younger set of story time audiences. It's a whimsical and poetic picture book, but the story is quite loose and very abstract. I found myself underwhelmed by the whole of it, and wished there'd been more to the story to pull the audience in.